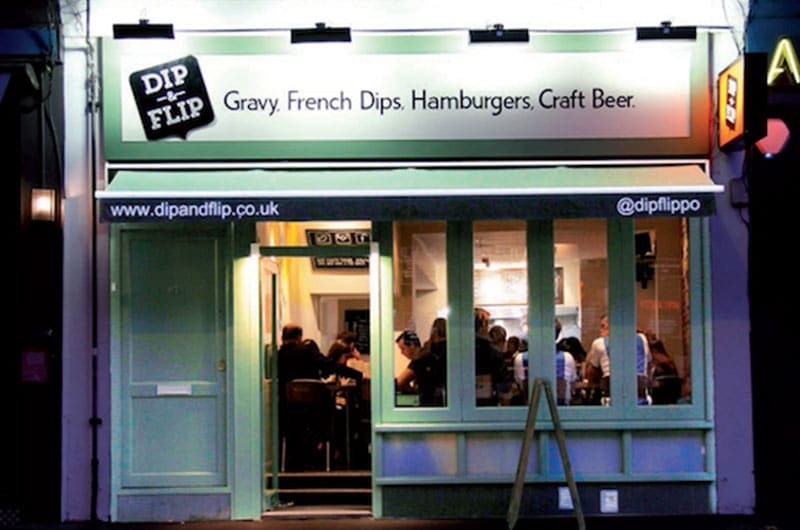 Dip & Flip, the burgeoning burger brand with sites in Battersea and Wimbledon have secured their third site, this time in Tooting. Famous for their burgers & sandwiches dipped in gravy (French Dip), Dip & Flip have secured the former Fisher &amp; Co site at 115 Tooting High Street, close to Soho House’s Chicken Shop and the recently opened Trafalgur Arms (Geronimo Inns). MKR Property acted on behalf of Dip & Flip in the off market transaction agreeing an assignment of the existing lease at a passing rent of £25,000 together with an undisclosed premium. Fisher &amp; Co were unrepresented.